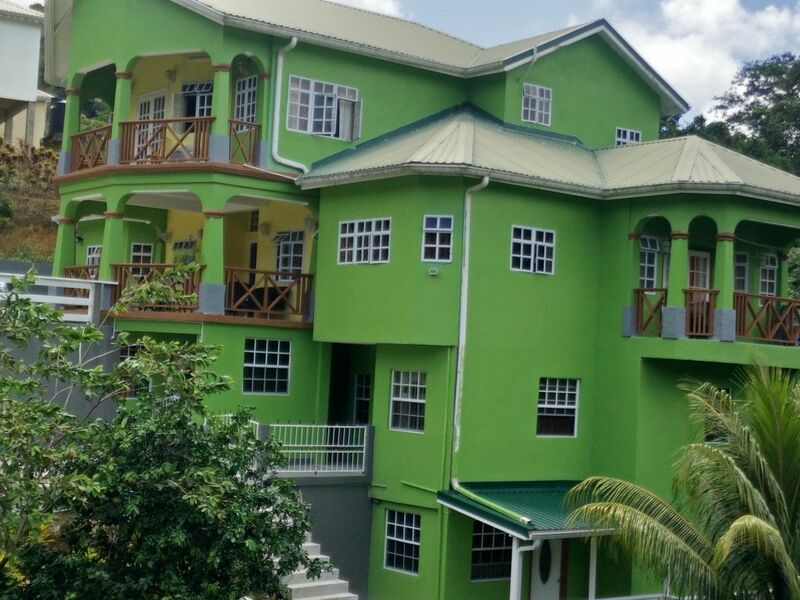 Newly-Constructed, cozy two bedroom one bathroom self-contained apartment. It has a fully equipped kitchen consisting of microwave, refrigerator, gas stove, pots, pans, cutluary, pates, bowls. It also comes with a washing machine. and cable TV and wifi access. nestled in a lushly vegetated and quiet Castries suburb. The house is surrounded with fruit trees, tropical flowers, and a variety of other plants. Located in close proximity to prime tourist locations, including; five minutes drive from the renowned Marigot Bay, with all its fine dining establishments, eight minutes drive away from the Capital City Centre of Castries and; 2 minutes drive from major supermarket chain Massy Stores. It is also within close proximity of the Owen King EU Hospital, Victoria Hospital and Tapion Hospital as well as the Sir Arthur Lewis Community College. My wife and I are a fun loving couple who enjoys travelling and visiting new destinations as well as meeting people. We enjoy going to the movies and entertaining friends. Our favourite movie genre is comedy with one of our favourite movies being 'Couples Retreat'. We both have a sporting background and are avoid sport fans. We are both professionals with 9-5 jobs from Monday to Friday. As hosts we aim to meet the expectations of our guests and want to give them the ideal island experience. We will ensure that guests enjoy their privacy but will always avail ourselves to answer any questions that they may have whilst staying at the apartment as we live upstairs in the main house. The neighbourhood is a newly developed one with working professionals. It is in a safe, quiet and friendly area. The apartment was located approximately 15 mins to the shopping centers. In terms of the facility it was very spacious and well kept , Mr.Wang was very welcoming and helpful , a superb host. I would recommend this property to anyone . We will definitely be returning soon!! The apartment is located within 10 minutes of Marigot Bay with its fine dining and white sandy beach. It is 2.8 miles from the Capitol City of Castries with its bustling market and fine duty free shopping. A 4 minutes drive from Massy supermarket.